Where Did the Saturday Cartoons Go? 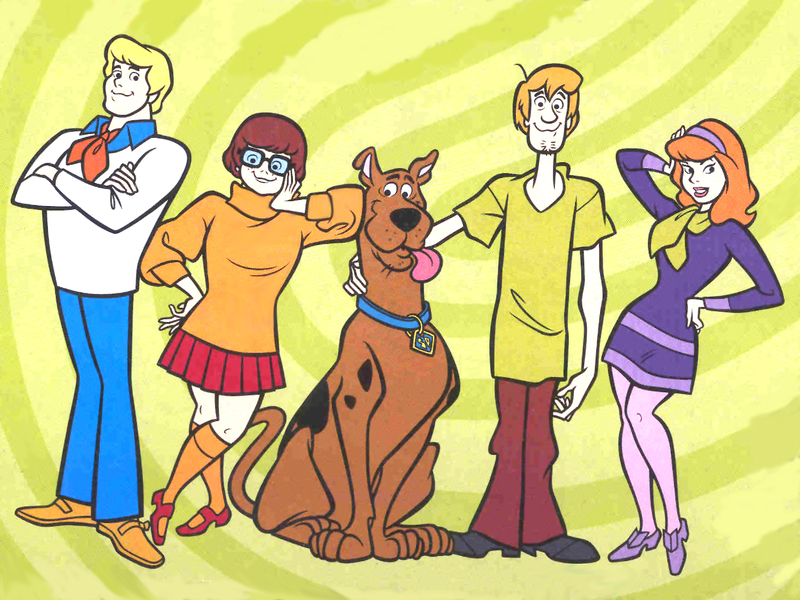 I miss this group and the Mystery Machine. That’s a question I asked myself recently when trying to distract my daughter while attempting to do something else. I don’t ever want to rely on television to entertain my kid, but for a few minutes at a time I can be okay with just so I can take care of adult things like cleaning up or folding laundry or something so I don’t have to hover over her making sure she doesn’t crack her head or put the dog’s foot in her mouth. She used to be entertained by the simple fact that the television was on — Ooh, pretty colors! — but I don’t think she appreciates football or The Walking Dead as much as I do. Besides, she’s also not into the whole head trauma thing as much as I am with that kind of programming, either. I realized that perhaps she’s getting to that age where cartoons appeal to her when she was sitting in my mother-in-law’s lap and The Cat In The Hat was on PBS. She probably didn’t understand the need to get the fish back in the bowl, which was the basis of the episode, but the sights and sounds had her giggling. My kid has all these options but would rather find danger elsewhere in our home. 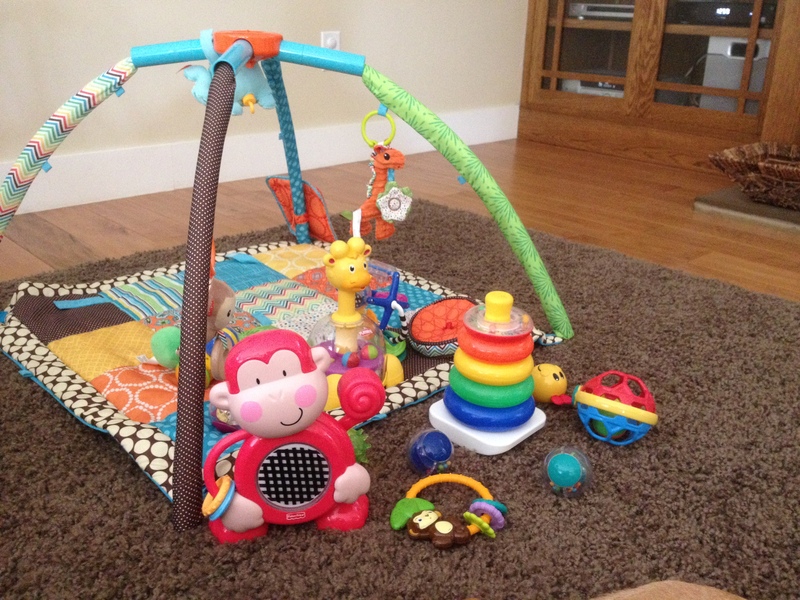 To her this was far more entertaining than the bevy of toys she has scattered all over our living room. It’s like Macaulay Culkin is setting booby traps for a new Home Alone movie in front of our couch. She likes a toy for about 30 seconds, then will focus on something else like wanting to knock her head on the corner of the coffee table or sticking her fingers under the rocking chair, or exploring the fireplace. Seriously, she needs a leash. That’s why I was so amazed when she was just sitting in awe of The Cat In The Hat and started thinking back to my days of Scooby Doo, Looney Tunes, et al. Well, this morning I checked our channel listings and all of the major networks — ABC, CBS, Fox, NBC — had on morning news shows which barely appeals to me, let alone a nine month old. Where did all the Saturday morning cartoons go? Looking through tvguide.com it seems that PBS shows a handful of cartoons, but everything has been overtaken by The Disney Channel and a couple of shows on Nickelodeon. Cartoon Network is all about Pokemon and anime-based programming — or so it seemed to me — which probably would give her seizures. The major networks have given up. So, obviously I now realize I have some options at my fingertips on the weekend mornings before The Disney Channel switches over to iCarly or something equally crappy and Nickelodeon goes to Yo Gabba Gabba or something equally crappy, things that thankfully I won’t have to deal with for a few more years. What about the kids who don’t have cable? Are they deprived of cartoons? Do they not get the ability to see the joyfulness of Mickey Mouse or Bugs Bunny and they have to settle for crap like Good Morning America’s Saturday edition? Cartoons shaped an entire generation — my generation — and that’s probably why a nation of late-twenty to thirtysomethings enjoy things like The Simpsons and South Park and Family Guy. We so loved cartoons that we had no problem watching more of them. 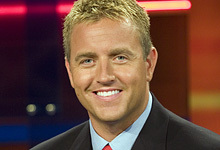 Maybe she’ll just appreciate looking at Kirk Herbstreit on Saturday mornings like my wife does. That would solve all the problems. We don’t have cable, and I like to let me 6yo watch Saturday Cartoon. It just ends up being an episode or two of something we find on Netflix though. Not the smorgasbord we had as kids by any means. That kind of makes me sad. Somehow I ended up on a Wikipedia page of “Saturday Morning Cartoons” – I’m not joking – and it said they started dying off in the early 2000s because of the Internet and cable. I guess I missed that because I never was awake before 10 am on a Saturday in the early 2000s.